A shower or two around the area early, then partly cloudy overnight. Low near 40F. Winds light and variable. Chance of rain 30%..
A shower or two around the area early, then partly cloudy overnight. Low near 40F. Winds light and variable. Chance of rain 30%. 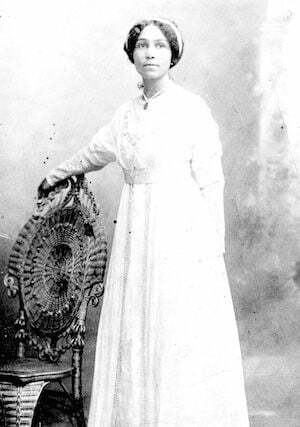 Photographic portrait of African-American writer Anne B. Spencer in her wedding dress, 1900. Karl Myers (1899 to 1951) from Tucker County, appointed as the first 'West Virginia's Poet Laureate' in 1927. Feb. 9, 1843: Republican Party leader Nathan Goff Jr. was born in Clarksburg. In 1888, Goff lost West Virginia’s most controversial gubernatorial election to Aretas Brooks Fleming. Goff’s initial 106-vote majority was challenged by Fleming, and both men were sworn in on inauguration day.